Home Tags Posts tagged with "Tracking Santa"
This one brings to life the world of Saint Nick and his elves with updates from the North Pole. 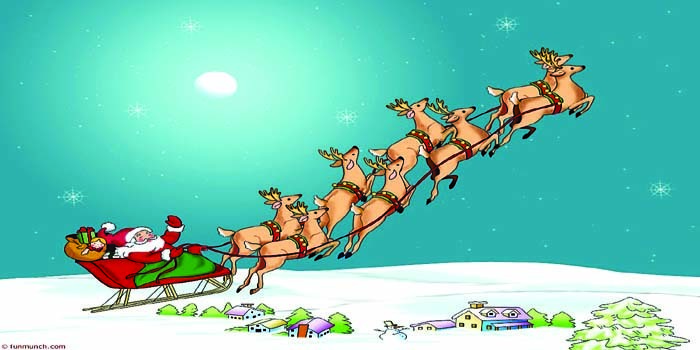 Just last Sunday, it reported that the Reindeer Games were cancelled and that Santaa��s sleigh was spotted over Japan! Kids can get personalised texts or emails from him too. Be it classics or old wives tales, the stories come with a professional voiceover, vibrant pictures and lively music. The Read to Me and Movie Mode automatically turns pages and reads to the listener. Text versions of A Christmas Carol, The Nutcracker and a��Twas the Night Before Christmas are on the app. Complete with a countdown timer, wallpapers and the ability to send greetings from the phone, it even offers Christmas recipes that are easy to follow. A comprehensive app to tide you through the run up to December 25. On Android devices. This one allows you to snap a picture, or use one from camera roll, add seasonal stickers or turn into festive characters like Frosty, Rudolph or even Santa. Save photos to make them your quirky card for 2015. Lovely for kids to amuse themselves with too. Adding some elvish dance moves to your photographs, it casts you and yours as five hilarious dancing elves. From chimney adventures to department store naughtiness, it will have kids and adults in splits. Great to entertain your guests at a party.